We’ve now had a full year in our tasting room, Garagiste Healdsburg, and it’s fun to look back on all the great moments and everything we’ve learned. It’s amazing when I think about how many people we have met and conversations we have had with people who are discovering our wines for the first time as well as the people who keep coming back and referring their friends because they love what we are doing. As I think back to the first month where I was so nervous behind the bar that my hands would shake as I poured wine, to now when I look forward to my time in the tasting room and get excited about sharing our wines with people, I realize this year has been one more step in our Cartograph journey and I am loving it! 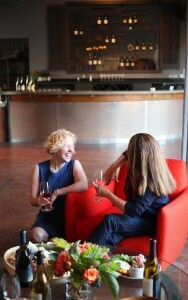 I hope you’ll be able to come visit us if you have not been to Garagiste Healdsburg yet. We’d love to see you! 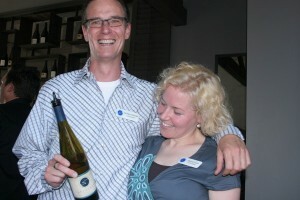 Thanks to the 100 or so friends who showed up to celebrate the upcoming opening of Garagiste Healdsburg. 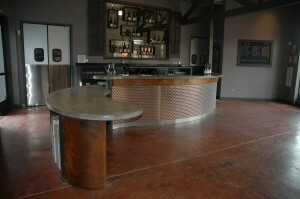 Garagiste Healdsburg is a cooperative micro winery and tasting room we built with Stark wine. The space is looking great and we now know we can handle a crowd with a little help from our friends. How many of your facebook or twitter friends can you see in this 30 sec video clip?